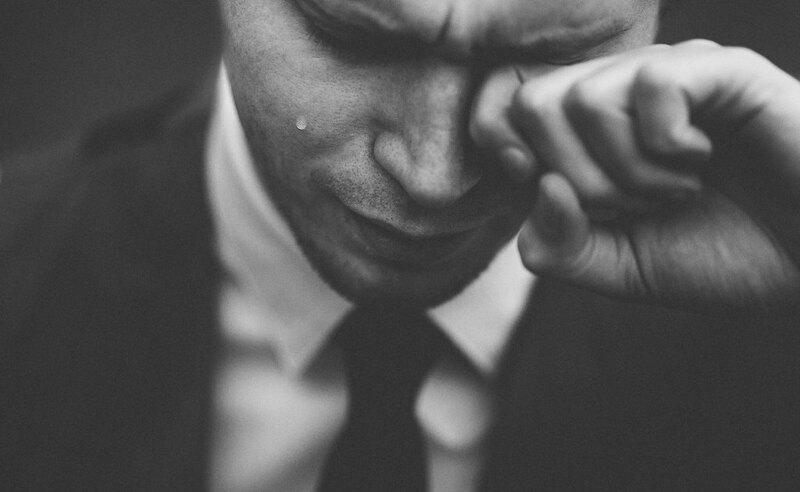 Compassion fatigue in pastors is a serious problem. Is your pastor experiencing compassion fatigue? As a pastor, I love to help people find joy and freedom in Christ because I love people. I find that love draws me to people who are willing to admit their pain or their sin – people who want to be healed. Through this gift of mercy, God has used me to free people from guilt, addiction, shame, and fear. It brings me so much joy to show people how much God loves them, but there is a dark side to this gift. When I focus on helping others, if I’m not careful I can forget to care for myself. I rationalize that Jesus sacrificed himself for others so I should too. When this happens I violate my God-given limitations. Who is providing pastoral care for the pastor? This is the job of the elders, but in some churches there are no elders to help. And in churches that have elders, they rarely have the insight or training to know what to do. Many pastors have no one to ask them the deep questions about the state of their souls. When pastors give more care than their spiritual life can sustain, mercy slowly turns to bitterness as they abuse their body, mind, and spirit. They no longer find joy in helping people, and they themselves need help. This is called compassion fatigue. the physical and mental exhaustion and emotional withdrawal experienced by those who care for sick or traumatized people over an extended period of time. apathy or indifference toward the suffering of others as the result of overexposure to tragic news stories and images and the subsequent appeals for assistance. Compassion fatigue is deep exhaustion of spirit that comes from caring for others without sufficient self-care. When this happens the mind becomes self-protective by shutting down the caregiver’s ability to feel emotion. This is how God designed our minds and bodies to keep us from working ourselves to death. God is forcing us to find the rest we need – especially by resting in him. According to the Compassion Fatigue Awareness Project there are several symptoms that can warn us when pastors are approaching compassion fatigue. I’ve divided these into three categories. No longer finds activities pleasurable. Reoccurrence of nightmares or flashbacks to traumatic event. Chronic physical ailments (e.g., gastrointestinal problems, low immunity, back/neck pain, headaches). Take an extended time away for rest (i.e., a sabbatical or vacation of at least 3 to 12 weeks). Establish healthy rhythms of work and rest (i.e., weekly Sabbath, quarterly retreats, yearly vacation). Talk with a professional Christian counselor and develop a plan for recovery. Find a spiritual director to help you explore your relationship with God. Talk with pastors who have experienced compassion fatigue. Learn spiritual practices that help you become aware of God’s presence (especially silence and solitude). Use prayer as relationship with God (rather than as a way to get things from him). Read the Bible slowly and deeply for spiritual refreshment, and keep what you learn to yourself for a while so you aren’t tempted to use it for preaching, teaching, or counseling. Listen deeply to your environment, your body, and your soul with the Holy Spirit’s help. Establish healthy boundaries and patterns of self-care. Meditate on God’s love for you – experience his pleasure over you. He would often withdraw to desolate places to pray (Luke 5:16). Sometimes Jesus avoided the crowds to be with friends (Mark 6:31). He focused on knowing and doing God’s will (John 4:34). Jesus didn’t let other people determine his calling (Matthew 16:23). He didn’t engage in people-pleasing (John 6:15). We are limited by our bodies, our energy, and our level of dependence on God. God doesn’t ask us to heal everyone or to fix all the problems we see (not even Jesus did that). Instead, we are to let Jesus lead. Does your church provide your pastor and elders the time and support they need to watch over themselves first (Acts 20:28-30)? I found your link from ‘leadership freak’ which I follow closely. I run a small charitable organization in Kenya that helps poor, hurting people. I am a compassionate person, and that’s the driving force that helps my work move forward. You can find some of things I do on YouTube, where I have thousands of videos. The main thing here is that I feel I have failed to take care of myself, and now my health is so bad. I live with sickle cell disease and had I been more careful, I would be okay, but alas, I feel like I am not going to go much further. Please, pray for me.